Electric Wheelchairs 101 offers a wide selection of electric lift chairs from the highest quality manufacturers in the industry. 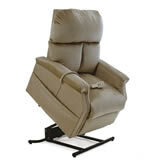 All of our lift chairs are shipped directly from the manufacturer, saving you a great deal of money. Pride Mobility lift chairs are a customer favorite, along with Golden Technologies, and AmeriGlide. 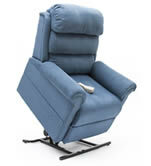 Using the buttons below, you can browse our selection of recliners by size, and positions. We have a wide variety of recliner features to choose from, as well as an array of colors and fabrics to help match your home decor. 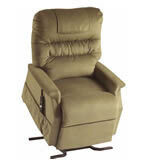 We know that when you're looking for a recliner you don't want it to look like a lift chair. You want it to look like a recliner that was made for your home! Call today for our best lift chair special offers! Golden Technologies and Pride! 5' 10" to 6' 2"
The sizes above are estimates we use to help get a starting point. 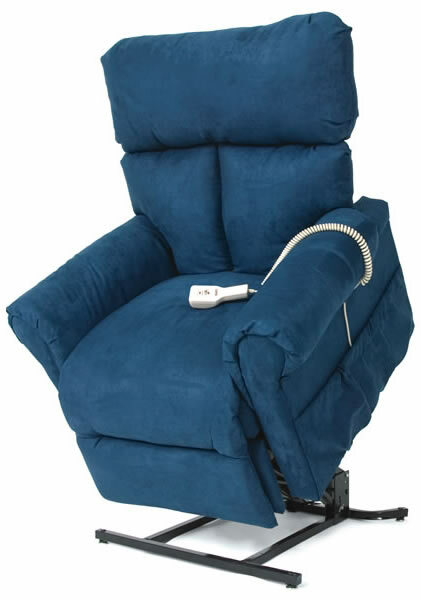 Please refer to a lift chair's measurements for a more precise indicator that a recliner liftchair is right for your needs. *Free 1 Year In-Home Parts and Labor is only available on new models.